LEFT to RIGHT: Hillary Holmes, Gibson, Dunn & Crutcher; Bethany McLean; Leslie Beyer, PESA; and moderator Josh Levs. Representing the oilfield services and equipment sector, PESA President Leslie Beyer spoke at two events this month celebrating International Women’s Day. As part of Pink Petro‘s 2019 HERWorld Energy Forum, Leslie spoke on March 7 with a panel titled “The Energy Revolution in the Era of Trump.” Along with experts Hillary Holmes, Partner, Gibson, Dunn & Crutcher; Bethany McLean, author of “Saudi America: The Truth About Fracking and How It’s Changing the World;” and moderator Josh Levs, she discussed hydraulic fracturing, energy security for the US and the Trump Administration’s impact on the energy industry. She also spoke about how the recent trade war with China has impacted upstream manufacturing and operations. “While corporate tax cuts certainly helped level the playing field for many companies in our industry, the Section 232 and 301 tariffs have been particularly harmful to our global supply chains and in most cases erased any benefit created by the cuts. While we certainly agree with USTR’s stated goal of combating China’s unfair trade practices, these targeted tariffs could unintentionally harm the competitiveness of energy manufacturing and service sectors, areas where the U.S. currently enjoys worldwide dominance,” she said. LEFT to RIGHT: Jerri Babin, National Oilwell Varco; Leslie Beyer, PESA; Evelyn MacLean-Quick, Hess Corporation; and Cindy Taylor, Oil States International. On March 8, International Women’s Day, Leslie spoke at DistributionNOW‘s RAD Women luncheon. She discussed navigating power structures within organizations as she moved into leadership roles, managing upward and developing critical relationships. 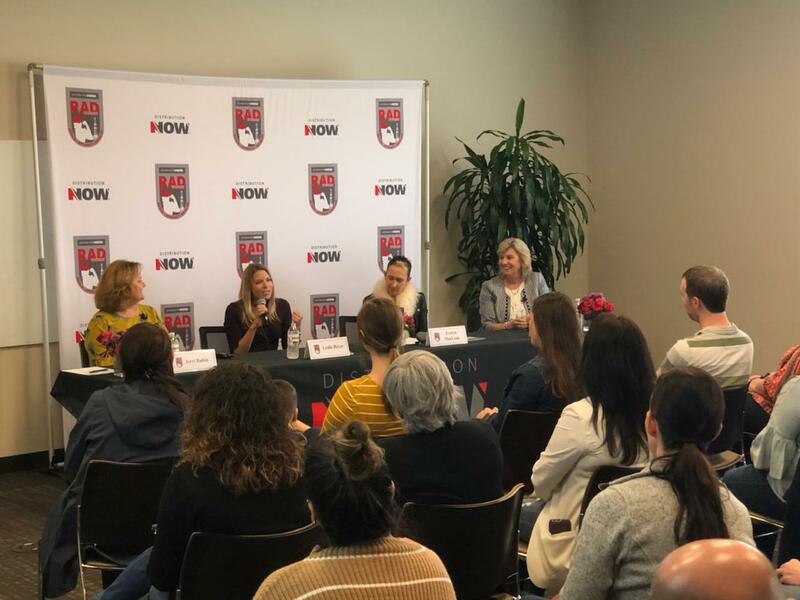 Other panelists included Jerri Babin, Vice President – Strategic Sales Support, National Oilwell Varco; Evelyn MacLean-Quick, Chief Procurement Officer / Head of Global Supply Chain, Hess Corporation; and Cindy Taylor, CEO & President, Oil States International.